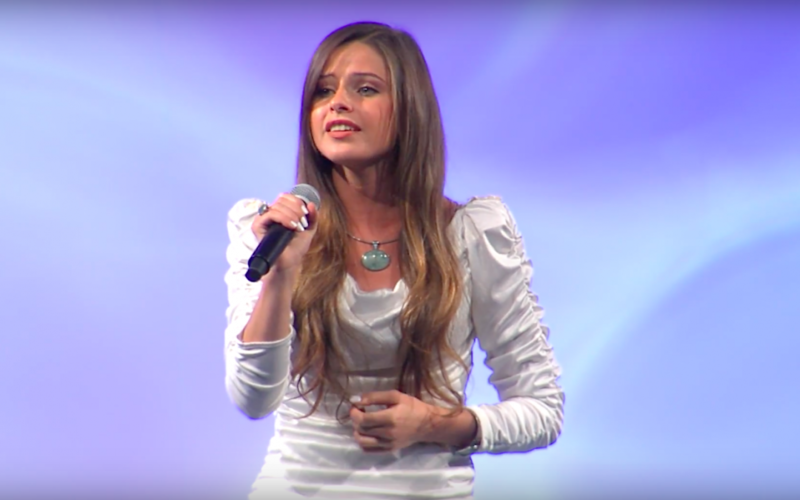 Nadia Khristean is a singer, songwriter, public speaker, activist, and a member of the Church of Jesus Christ of Latter-Day Saints. She has written many songs and created music videos with the goal of making a positive difference in the world. Some of the subjects she has addressed in her songs are addiction, anti-bullying, refugees, suicide prevention, adoption, inner beauty, and other causes. She often collaborates with other charitable foundations and talented performers to spread awareness about these important causes. Nadia also likes to speak and perform at school assemblies to help students realize the dangers of bullying and motivate them to be kind and find solutions to the bullying problem that is sweeping our nation. She is currently collaborating with Evynne Hollens on a project to help foster children. According to her website’s bio, Nadia began songwriting when she was 7 years old, and she recorded her first professional single and co-founded the Daddy Come Home Foundation when she was 15 to support U.S. troops. She served a Mormon mission in Lima, Peru from 2014 to 2015. Click below to see behind the scenes of her latest music video on suicide prevention.